Building a ranch style modular homes in Charles City, VA is on the rise and for good reason. This style of modular home is increasingly popular due to the versatile nature of the build combined with the cost-effective nature of modular construction. Always compare the cost per square foot between traditional stick-built construction vs modular construction. But construction cost is just one thing to consider. 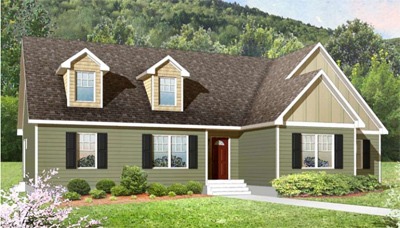 One of the reasons for modular ranch style home popularity is related to energy efficiency. A ranch style modular home is easier to cool and heat compared to other floor plans available. The single story option that the ranch style floor plan allows for ease and facility for cooling and heating. With this design, moderate temperature can be kept constant more conveniently. That being said, it is not surprising to see variations of this single story floor plan being used all over the world as it can withstand different weather conditions. The advanced building techniques and technologies being used in modular home construction has opened numerous opportunities for homeowners to really make their dream home come to life. This alternative to traditional construction has somehow redefined ranches so that they become not only convenient and cost-effective to live in but also to construct. Homeowners can modify the features of their ranch, both in its exterior and interior, according to their personal preferences and other needed requirements. To find out more about ranch style modular home options, contact Tidewater Custom Modular Homes.